We investigated age- and gender-related variation of both cortical and trabecular microstructure in human femoral neck. We found that age-related change of cortical porosity is more noticeable than that of trabecular parameter. 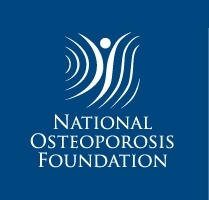 Our data may help to gain more insight into the potential mechanism of osteoporotic femoral neck fractures. Variations in the microstructure of cortical and trabecular bone contribute to decreased bone strength. Age- and gender-related changes in cortical and trabecular microstructure of femoral neck is unclear. The aim of this study was to identify three-dimensional (3D) microstructural changes of both cortical and trabecular bone simultaneously in human femoral neck with age and gender, using micro-computed tomography (micro-CT). We hypothesized that there would be differences in age-related changes of cortical and trabecular bone for both women and men. We used 56 femoral necks of 28 women and men (57–98 years of age) from a Japanese population. The subjects were chosen to give an even age and gender distribution. Both women and men were divided into three age groups: middle (57–68 years), old (72–82 years), and elderly (87–98 years) groups. We examined cortical bone specimen from the inferior sector of femoral neck and trabecular bone specimen from the middle of femoral neck using micro-CT and 3D bone analysis software. Cortical thickness (Ct.Th) decreased by 10–15%, cortical porosity (Ca.V/TV) almost doubled, and canal diameter (Ca.Dm) increased by 65–77% between the middle-aged and elderly groups for both women and men. The trabecular bone volume fraction (BV/TV) decreased by around 20%; trabecular thickness (Tb.Th), trabecular number (Tb.N), and connectivity density (Conn.D) decreased; and trabecular separation (Tb.Sp) and structure model index (SMI) increased with age for both women and men. As compared with women, men had higher Ct.Th and BV/TV and lower Ca.V/TV and Ca.Dm among three age groups. There was a significant inverse correlation between Ca.V.TV and BV/TV for both women and men. Our findings indicate that Ct.Th and BV/TV decreased, and Ca.V/TV and Ca.Dm increased in femoral neck with age for both women and men. The most obvious age-related change is the increase of Ca.V/TV. The decrease of BV/TV with age is more noticeable than that of Ct.Th. This is the first study that has provided both cortical and trabecular microstructural data simultaneously in a Japanese sample. 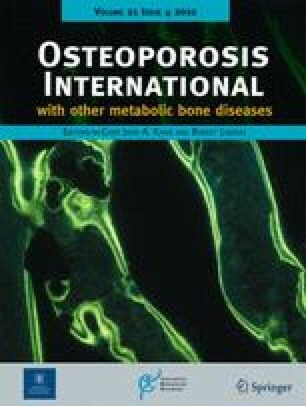 These data may help us to gain more insight into the potential mechanism of osteoporotic femoral neck fractures. The authors thank Dr. Ken-ichi Tezuka, Department of Tissue and Organ Development, Gifu University Graduate School of Medicine, for providing micro-CT system used in this study.